Nestled beside Gauley Bridge on Route 60 is the small town of Glen Ferris. 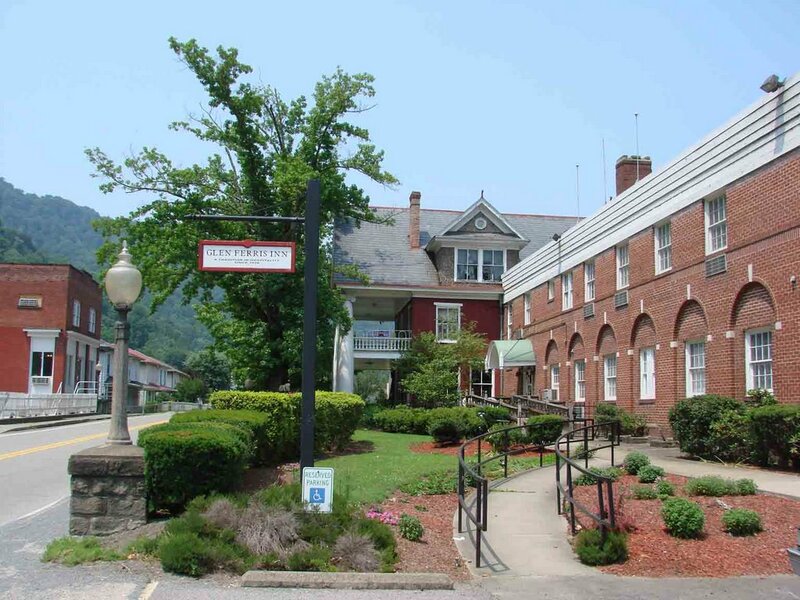 Aside from the majestic Kanawha Falls recreational area, Glen Ferris is mostly known for the Glen Ferris Inn, a charming inn and restaurant that hosts guests from all over. However, many believe that Glen Ferris Inn hosts more than living guests — perhaps even guests beyond the grave. Glen Ferris Inn has a rich history, beginning in 1839 when local businessman Andrew Stockton opened a “common room” to host the stagecoach traffic that was common in the area. Over the years, the inn was expanded and catered to soldiers on both sides of the Civil War. Some even believe that the Inn once operated as a makeshift hospital during the war. As host to soldiers, townspeople, and tourists for over a century, it’s no wonder that there are mysteries surrounding Glen Ferris Inn. Many people report seeing an apparition in one of its second story windows as well as unexplained footsteps and shutting doors in the guest rooms. One suggestion of these occurrences is the ghost of a Confederate officer named “The Colonel.” Whether or not The Colonel exists is something that only those who have witnessed the paranormal occurrences can attest to. While ghost tours are not given at Glen Ferris Inn, the Inn does welcomes visitors to tour the lush grounds, enjoy a sunset beside the Kanawha River, and grab a bite to eat in their restaurant, open daily for breakfast, lunch, and dinner. For more information on the Glen Ferris Inn, visit their website.